Its been a wonderful Spring like month! I met up with the team and we worked on the plan for the next 6 months in a beautiful location just on the borders of the Lake District. We got so much achieved in a short space of time and we even had time for a lesson in ‘sheepdog trust and flow’ from world renowned sheepdog handler Thomas Longton. So interesting to see how our natural talents and types played out whilst working the dogs! 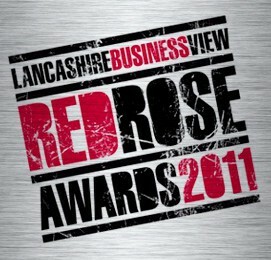 We also had a great night out at the Red Rose Awards last week. We were so proud to be in the line up of finalists for 2 awards and although we didn’t come home with an award we did have a fabulous evening! Here’s Janet showing one of our entries! Meanwhile, Tamami our Master License Holder in Japan, accredited a new group of TDPC’s in Tokyo last week. Congratulations and welcome to you all! Jans Corner: Measure what you Treasure! In a world where attention is on short-term profits and obsessively tracking the financials to achieve good quarterly results, we often times forget that there is superficial data and then there is meaningful data. Because we tend to pay attention to – and treasure – what we measure, smart companies and teams turn it around and measure what they deeply treasure and what leads them to success. Which means that they look at, quantify and measure the important and meaningful indicators in their business and allow a large enough horizon for seeing results and making decisions. Obviously, this does not mean forgetting the financials. Tracking and reporting revenue and profitability measures is not only useful but also required for economic survival and keeping investors – and the tax authorities – informed and happy. Now more then ever, this is, though, clearly not enough. Financials provide not just limited and distant but also a rear-mirror view of the business – it’s like playing football and being fixated on the scoreboard. You may accurately know how many goals were scored before but lose sight of the ball and the dynamics of the game – the flow of resources and activity. To increase flow of resources and activity in the business, it is important to know why we are here (we know that profit is not the reason – rather it is the means to keep us in the game), what really constitutes success for the business and how things work and are interrelated to make success happens sustainably and efficiently, so that we can pay attention and measure the right things all along the way. W. Edwards Deming, the father of modern total quality management and great contributor to the post WWII rise of Japan as an economic power through its high-quality manufacturing, referred to conventional measurement as “tampering”: manipulation without genuine understanding. We know that this genuine understanding requires patience, eye for detail, and analytical mind as well as systems thinking – grasping the underlying dynamics of the systems and seeing how the processes underlying everyday performance work. In Talent Dynamics, we say the best person to make sure that systems and processes are measured and managed consistently and precisely is a Lord profile. Lords naturally exhibit the above characteristics and observe to understand and learn from what they see and what the data tells them. If they are tuned in to the overall success of the business and left to make their own data analysis and conclusions, they quietly ensure that existing assets are best utilised and closely monitored and that resources – material, information, and financial – are allocated and flow efficiently. Who in your team and business is best suited to be put at the helm of this? Who could actually not just do it well, but also enjoy it? Interestingly, just as the Japanese business miracle has shown some years ago, you may experience that this improved flow of activity and resources will generously show also on your financial statements too! Una’s spotlight: The cost of Low Trust! Greg had lost faith and trust in his employers and while many employees wouldn’t have the clout to get in the New York Times, that doesn’t mean that they couldn’t do some very serious damage to your organisation’s reputation. Even more serious than your reputation are the underlying factors that could cause an employee to feel the way that Smith did. I’ve seen this in countless organisations where a complete lack of trust colours absolutely everything that is done. When was the last time you experienced negative office politics slowing things down? People covering their behinds with mass emails? Managers reluctant to make decisions unless it’s a joint decision in a meeting so that any potential blame can be shared out equally or even passed to somebody else? People promoted out of harms way instead of poor performance being addressed? Building trust may seem to be generated by competence and reliability, however, it goes much deeper than that. As organisations go through further Talent Dynamics steps it becomes clear very quickly how much trust and integrity there is at a senior level. Will people let go and delegate properly? When discussing the purpose or promise of a team or organisation are people on the same planet, let alone the same page? Do people ‘do as I say, not as I do’? If employees don’t trust management, how can they be 100 per cent believable when interacting with your clients? At least without it eating them up inside, potentially creating stress and even ill health. The layers of additional work and bureaucracy created by a lack of trust cost the bottom line. Hugely. Does your organisation share its financials with its employees? Does it share the thought process behind major decisions? Does it genuinely ask for input, provide feedback and create a genuine dialogue? What is it hiding? If you or your organisation aren’t hiding things from your employees then please be aware that is how it may well come across. Give trust wisely. Discover where your team members will add the most value and let them do so. 10x communication. Whatever level of communication goes on in your organisation, increase it by ten times. Be open, honest and transparent in your dealings. Answer all questions without any fear of reprisal. Ask for feedback and input. While employee surveys can be useful, more useful is ongoing and regular feedback with line managers as part of regular 121s and team meetings. All the world’s a stage. Remember that your team(s) watch what you do every day. How congruent is it with what you say? For one day, preface everything you do and say with the thought, “what would the most cynical employee think of this?” Would that change your behaviour, or perhaps how you communicate what you are up to? Work with people’s energies. Remember to allow people to be in flow and to support them in their primary energy. A Steel energy person may feel pressured to come up with ideas but a Dynamo will be delighted to finally have an outlet for their innovation. Ask a Tempo person about how to build upon existing relationships with other teams/customers, not about how to make systems better. Get the Blaze people to help communicate and forge new relationships, to ‘sell’ internally the results your team is getting to build trust in your competence. Finally, make sure that you’re in flow yourself and are building relationships based on trust and respect. If you can’t look yourself in the mirror then it will be challenging to look other people in the eye and mean it. You know that when you’re in flow the positive results you get make you feel better about yourself and help you to elevate others in your team and organisation. Jumping out of a plane without a parachute. I was disappointed recently to hear a leadership guru extolling the virtues of optimists over pessimists in a presentation. He was suggesting that Optimists are more successful in life and business. They have all the fun, the right attitude and get the best results. What disappointed me was, we know, as you do, that it takes all sorts to make your business and team successful. There is certainly not a sustainable, one size fits all leadership style – oh and just how near impossible it is to swap from being a natural pessimist to becoming an optimist! One of the TD profiles, who is a natural Optimist is the Creator profile. They live life with their head in the clouds, creating beautiful bold plans and new possibilities. It’s this natural optimism that allows them to get started on their plans, that they often haven’t yet finalised the details of, as they know they will figure it out as they go along. They inspire the team to action, with their boldness and beautiful descriptions of what will be and they get on with it. Without Creators, teams would find it challenging to come up with big bold plans that keep them way ahead of the game and innovations that customers are going to just love! So yes, I agree Optimism is very important! Lets look at one of the TD profiles who is a natural Pessimist. The Accumulator profile. They are the most risk averse of all the profiles and they commit to thorough research and analysis before making a decision. They take more time to check out what works and what doesn’t and when they make a decision that the time is right to do something, you can depend on them that the research is right. Without Accumulators, teams can rush into plans and new ideas, without fully considering the consequences and risks, or knowing all the details. By the way, the richest man in the world today is an Accumulator! I hear organisations encouraging staff to be more positive and they ask their pessimists to communicate in a ‘more positive way’ – you know what, trying to tell someone that its going to rain at 11 o clock in a positive way, is just not that easy. Fact is, the research shows its going to rain at 11. If you don’t listen to the warnings and take an umbrella, guess what, you are going to get wet. This is what pessimists do so beautifully. They can prevent you and your business from getting soaked because they know when the rain is coming! Mike Harris, founder of Egg.com and Mercury, once told me, that in his initial planning stages with new ventures (he is a Creator) he always seeks a group of pessimists to run his ideas by. They tell him exactly what will go wrong and why people won’t want to buy it/use the service. He then takes their feedback and reshapes his plans to incorporate the challenges they see and he has built several Billion pound businesses!